Renzo Nardi obituary. Carnes Funeral Home. Renzo Nardi passed away August 19th at his home in Humble, TX after losing his battle with cancer. Renzo was born in Sault Ste. Marie, Ontario Canada October 10, 1959. He grew up there, went to school, worked for the railroad, and drove heavy equipment to clear snow and clean roads. He moved to Michigan in the mid-80’s and then on to California where he raised his daughter Cammi. Then in the late 90’s he moved to Kentucky, married his current wife, and made many, many wonderful friends through work and GWRRA (Gold Wing Road Riders Association). 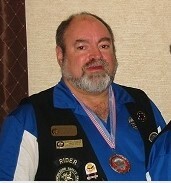 Renzo and his wife served as Assistant Chapter Directors and Directors of KY-G for 4 years. In 2014 he moved to Humble, TX to enjoy the warm weather and begin planning for retirement. He quickly found GWRRA TX-N2 and made instant friends. Renzo loved to fish, garden, ride his motorcycle, tinker and invent, and perfect his Geo Metro collection, but most of all he loved to just spend time with loving wife. Renzo is survived and loved by his Wife- Donita; Mother- Ann Tonucci; Father -Luigi Nardi (Fiancé -Sylvia); Daughter Cammi Ann Patterson (Husband-Jeremy);Step-daughter-Erin Hoffman (Spouse-Kelly); Step-son – Ted Hoffman (Spouse-Sarah); Grandchildren – Gwendolyn, Kiyoko, and Blake; Brother-Dino (spouse-Wendy); Sister-Marina; and many Aunts, Uncles, Nieces, Nephews, Cousins, and friends. A private celebration of life is planned for Texas and Kentucky. In lieu of gifts, the family has requested donations to be made in memory of Renzo to his favorite non-profit organization GWRRA.